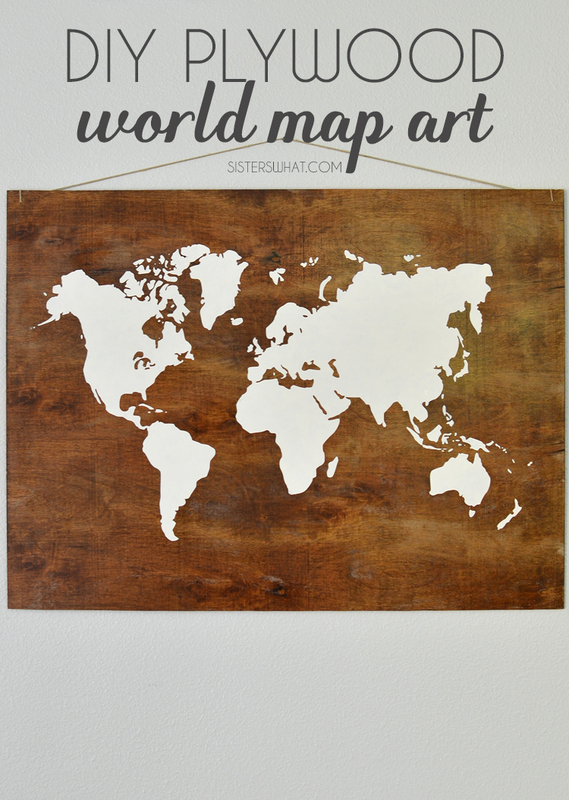 ' DIY Plywood World Map Art - May Pinterest Challenge - Sisters, What! Where has May gone? I swear spring just started. 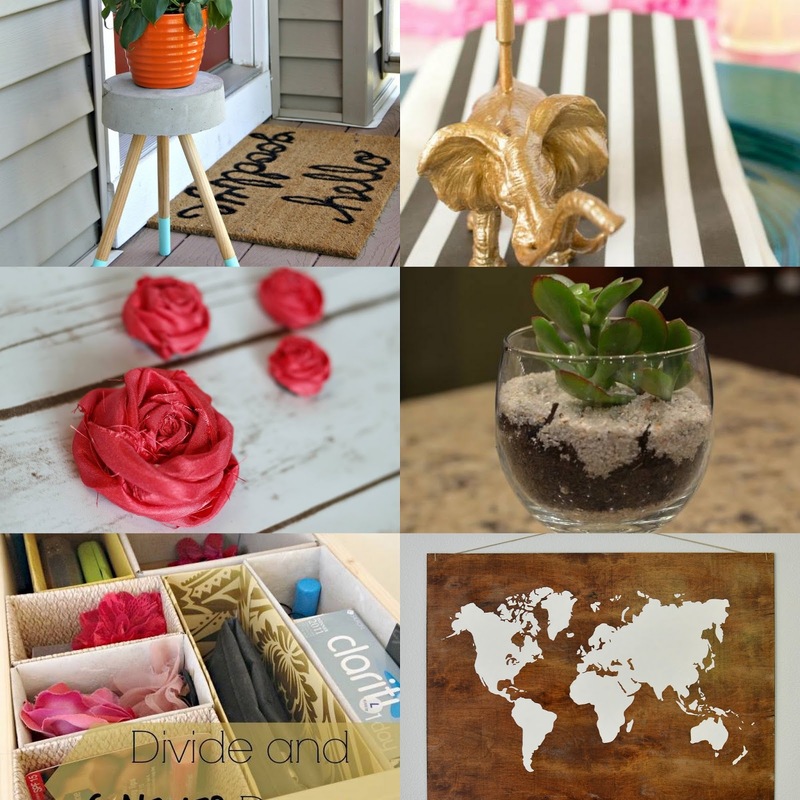 Well, it's that time of month to share my monthly pinterest challenge (see below for all the other awesome projects). 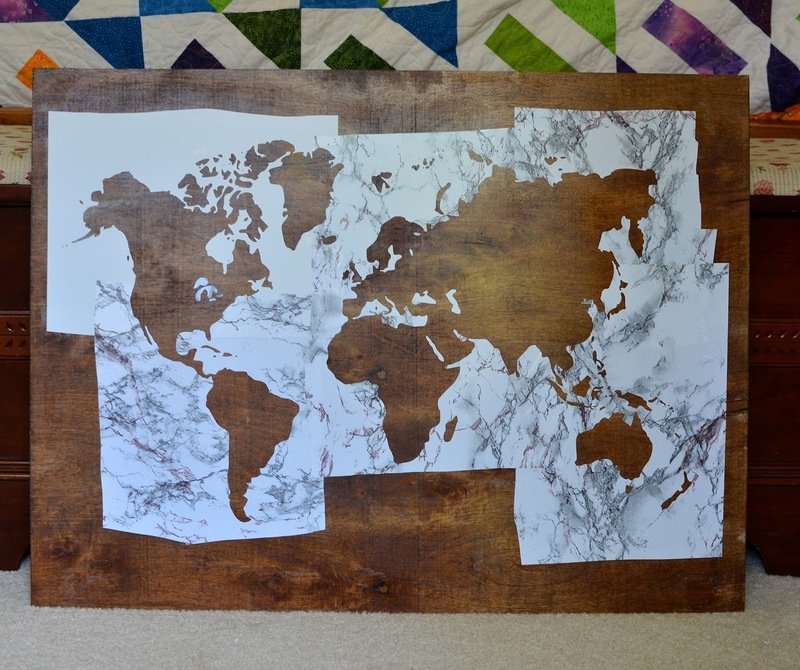 This month I tackled a little bigger project, a world map. I studied the humanities in college and gained a love for each of the different cultures around the world. One day I will make it to each continent until then, I'll probably continue to be obsessed with world art. Have your plywood cut to the size you want it. I stained mine a walnut color before I applied the stencil. 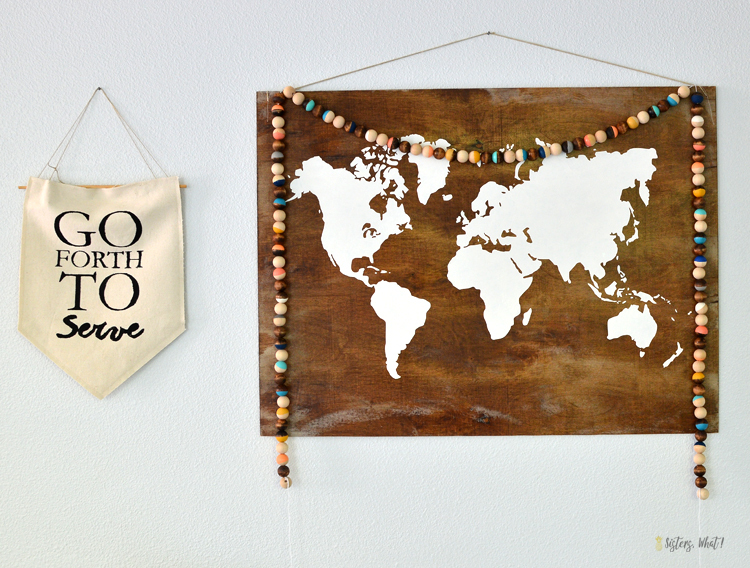 Then decide how big you want your world map to be on your plywood. 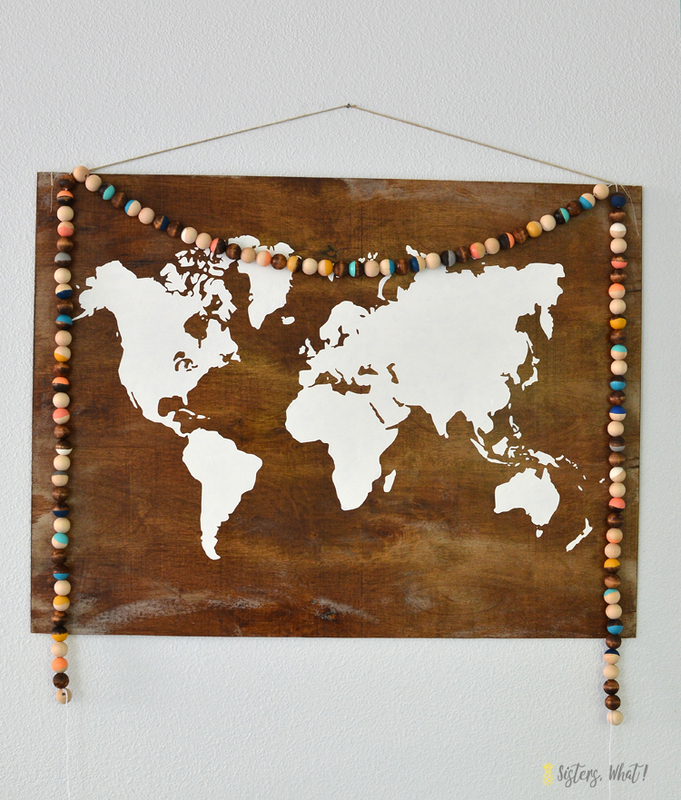 The Merry Thought blew up a world map image and traced it onto pallet wood. I decided to cut out a vinyl stencil with the silhouette. I cut out one section of the world at a time until I had the whole world cut out. Some of map pieces over lapped when I cut which made it possible easier (like a puzzle) to make sure everything lined up properly. After I cut out the vinyl I made my husband help me put the vinyl/contact paper on the plywood (we made it our Friday night date). I then painted like 7 coats of white until I couldn't see any of the plywood beneath. I'm so happy how it turned out. 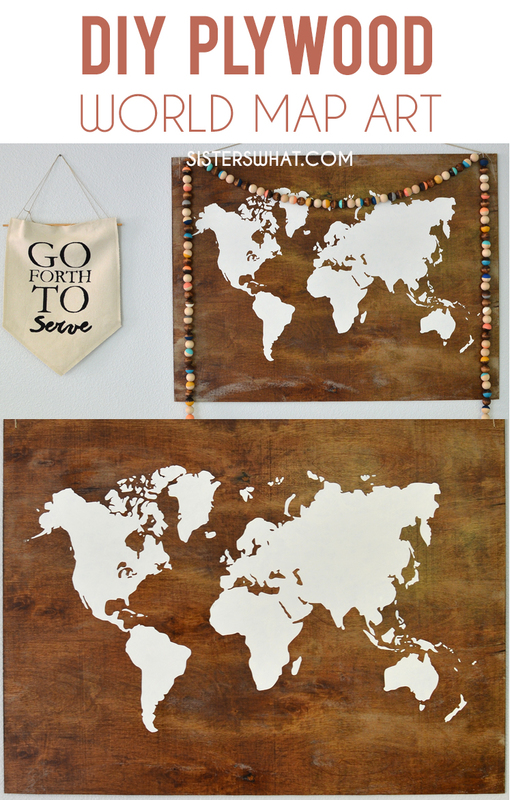 My alma mater (BYU) motto is "Enter to Learn, Go Forth to Serve" So I thought that would be the perfect saying to put along side the map on the wall. I can't believe yours is just on a bit of ply, it looks so expensive and classy! 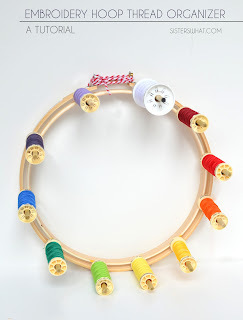 Love idea, I'm adding this pin inspired pin to pinterest right now! I love this!! 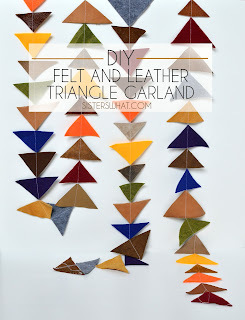 A gorgeous map - I can see it hanging in a super cool boys room! Hi Love this. Love maps love the finish on the wood. I've just made some map chairs and this would go really well with them. 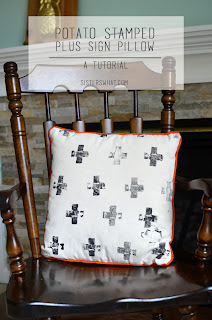 http://www.pillarboxblue.com/how-to-make-personalised-map-chairs/. 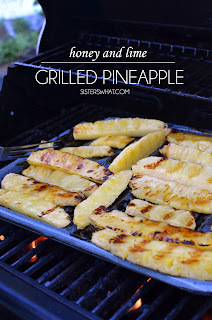 I'm going to give it a go. 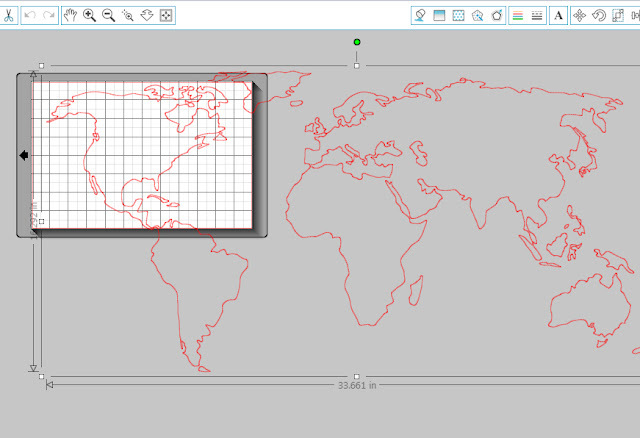 Your world map is super classy looking. I can't tell that it is plywood. My son loves everything about adventure and world travel. 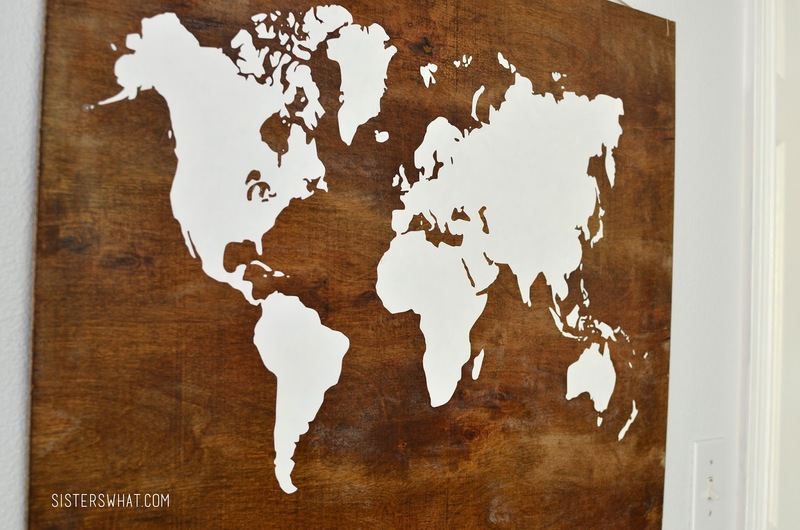 I think it would be fun to put up a plywood board with the silhouette of the world map on it. At the least, it could further help him with his geography.